Today, the job seeker’s journey has changed. Thanks to an overwhelming need for a limited number of qualified candidates in the health care field, many of the ways that physician recruiters traditionally used to recruit physicians have ceased to be as effective. In response to this, many physician recruiters have taken the initiative and begun to source and engage candidates in other ways – ways that seem remarkably similar to inbound marketing strategies. But in what ways do these recruiters think like inbound marketers? And how has doing so helped them recruit top physician talent? Below are the three ways recruiters have used inbound thinking and strategies to improve their physician recruitment process and attract highly qualified physicians. Today’s physicians are bombarded daily with job solicitations. Many of these are found in journals, in their email inbox, and in their mailboxes at home, each serving as a nuisance as they seek to go about their day. And the messages start before they even finish their training, with many residents reporting having received over one hundred job solicitations before completing their training programs. But instead of creating advertisements to get the attention of prospective candidates, savvy recruiters are now instead creating messages that will naturally draw in prospective candidates without irritating them with disruptive messages. In the marketing world, content is king. Creating and sharing valuable content is how many inbound marketers attract potential leads. Similarly, in order to draw in these prospective candidates organically, recruiters have begun creating and sharing educational content. By posting this content on their sites and social media profiles, these recruiters are drawing candidates onto their sites. When done correctly, this can help recruiters drive candidate leads and engage with prospects in a way that will increase the likelihood of them expressing an interest in joining your team. The best inbound marketers tend to be the best storytellers. A good story appeals to people on a deeper level, allowing the storyteller to engage and connect with their audience. The same is often true with the best recruiters. While many recruiters focus solely on the bells and whistles of the opportunity when looking to bring on a new candidate, a recruiter’s storytelling capabilities are what can really close the deal with a prospective candidate. 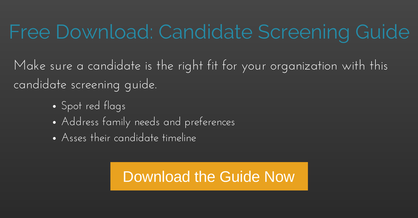 When told well to the right audience, the story of your organization and it’s role in your community can help a prospective candidate visualize themselves there. Seeing and hearing the impact they would make and people that would become their colleagues are what really make the best candidates choose to work for your organization.